A high performance foundation that keeps you looking flawless through the day. • This long lasting formula does not smudge or streak. • It has a pump dispenser that avoid messy spills and make application easy and hygienic, leaving your skin feeling comfortable and supple for hours. • Exclusively formulated for daily use, it ensures that your complexion looks its best across the day. • Pump some foundation onto the palm of your hand. • Use your mind finger to dot foundation on your face. • Lightly blend the foundation in a downward direction from hairline to neckline. A creme to powder finish formula make up compact that glides on silky smooth and blends effortlessly for an impeccable finished look that lasts the entire day. 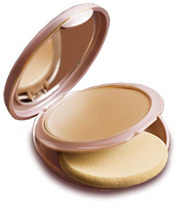 • Sweep adequate creme to powder compact on to the make-up sponge. • Gently blend the make-up sponge in a downward direction. Allows you to control coverage for sheer or heavier results. With unique oil absorbing formula that gives you a flawless and matte look throughout the day. Vitamin conditions your skin throughout the day. 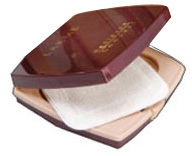 Pure Rouge is a pure pressed powder blusher that provides sheer, lightweight application. Color builds lightly layer after layer without heavy coverage.The natural shades delicately highlight the apples of your cheeks and add a warm glow to your complexion. Blends easily into your skin to create a soft glowing and feather like finish. • Contains Vitamin E that soothes and moisturizes the skin. • Silicones help in easy application, spreading evenly for an even toned look. Lightweight soufflé makeup, perfect for everyday wear. • Enriched with sunscreens and cucumber extracts. • 100% water based formula is lightweight so skin does not feel weighed down by extra layers. 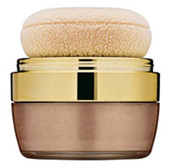 • Souffle form allows for easy application to give skin a natural, flawless look. Blends perfectly with your skin, Offers full coverage for a flawless invisible finish, Is water based, ultra light when applied. 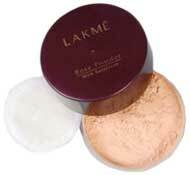 • Lakmé best understands the needs of the Indian woman and therefore IFF has been designed for Indian skin tones, suited for tropical Indian weather. Sun soaked irridescent pigments that tint, highlight and layer for lovely cheek and face color. • Twist to open. Tap to infuse sponge with color. Layer to build gorgeous sunny cheek color or lightly go over face for that just-back- from-a-tropical-island holiday look. Twist to close. 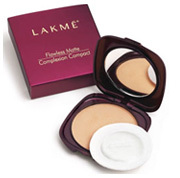 • Tip: Use nine to five crème to powder compact or foundation as a base ahead of other makeup, for best results. Foundation make-up in a powder format gives a flawless radiant look. Contains rose fragrance to keep you fresh, contains sunscreen to protect from harmful UV rays. Gives a flawless radiant look. Instantly Protects, Moisturizes, Brightens, Evens Skin Tone, Conceals, Freshness. The instant skin stylist brings together all the goodness of your daily skin cream with just the right touch of make-up to give you skin that looks styled by an expert, everyday.